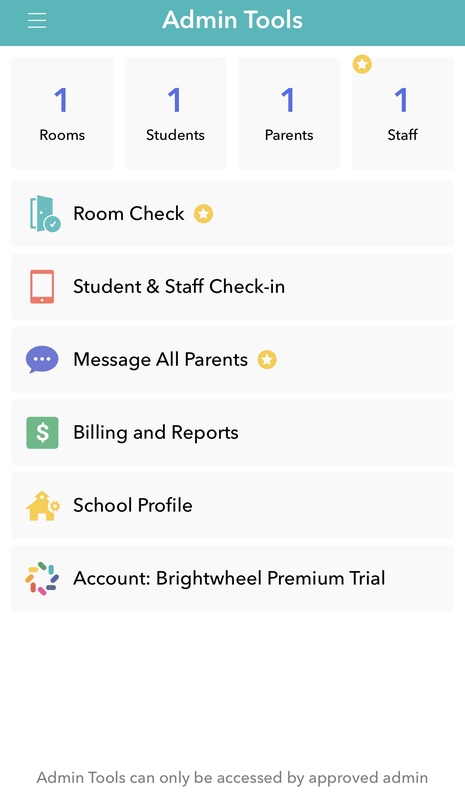 Looking for the room check, student and staff check-ins, school profile settings, or a way to message all parents? You need the Admin Tools! What exactly are the features of Admin Tools? Room Check (premium only)- This is where you can view all rooms and how many students and staff are currently checked in. It also shows your ratio information. Student & Staff Check-In: This is where your student/staff check-in settings live. It also includes your check-in kiosk, quick scan for parents (premium only), and tracks attendance. Message All Parents (premium only): Looking to message all the parents in a specific room or all rooms? This is how to do just that instead of messaging each child's parent one by one! 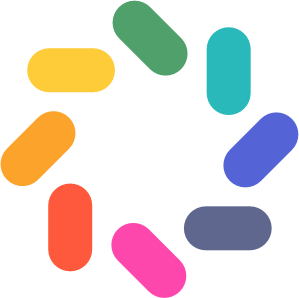 Billing and Reports: Currently, the actual Billing and Reports features lives on the web only. This portion in the app gives an explanation of what the features includes online. School Profile: You are able to update your contact information, school address, check-in settings, and enable your learning frameworks from here. Please note, premium users are also able to set their Activities settings to Staff-Only from here. That way, it does not update the parents when an activity is posted. Who can access Admin Tools? Anyone with Admin Privileges can see the Admin Tools. What is the experience for Staff? Administrators have other privileges that the rest of the staff do not have access to, see below for more information. Access Billing (Web) - All billing and invoicing can only be done by administrators. Add Staff Members & Room Permissions (Web & App) - Only admins can manage staff and their room assignments. See the links for more information. Pre-Approve Daily Reports (App only) - Approve staff-only posts right from the web, learn how by seeing support article linked. Staff Check-In & Time Cards (Web & App) - Keep track of your staff's hours and their ability to check-in from any device as a school admin. Multi-Location management (Premium Web) - Easily manage all of your locations by requesting a multi-site login be setup.